Tonight from 7PM to 9PM I have a guest DJ joining me. 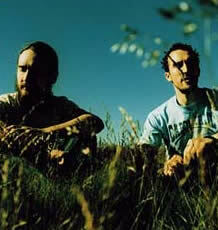 Sean Lovelace will be giving us a glimpse into the world of Boards of Canada; a two piece composed of brothers who ask not to be tagged as an Electronic group. What does that make them then? Tune in to find out! If you are looking to escape the stress of the holidays, let us bring you to a more peaceful place. Tonight's show will focus on not just their unsual influences (Joni Mitchell, really?) but their peers who are also helping to redefine electronic music (Aphex Twin, Squarepush), and the new crop of music artists (Clams Casino, Neon Indian) who owe BoC in a big way. Download last night's show in full here.